Taylor Swift's performance. This one is a "gimme" on this blog. As sure as Channing Tatum will wake up still being hot tomorrow, you know I will heart Taylor's performance. But seriously, whether you love her or love to hate her, girl puts on one heck of a show. Selena Gomez' performance of Come and Get it. This moment may be tied to the fact that this is my current favorite song and I have visions of flash mobbing it in the gym....but I thought she knocked this one out of the ballpark. The pan to Selena Gomez every time Bieber took the stage and the look of sheer relief mixed with disgust and heavenly realization that she is single. Justin Bieber winning awards. The end. Just kidding, I actually like the Bieb's music....I just think he's pretentious. Someone should really alert him to the fact that he is a 100 pound white male and not a 200 lb black football player with a rapping career on the side. Madonna staring at the microphone that was 4 inches below her mouth and saying THREE times that "they" must think she's shorter than she is and she was "not happy about it".....those scheming evil microphone prop people....gah. Nicki Minaj and Weezy. There's talent....and then there's these two....singing about "asses" (half of which was bleeped out) and ending their "performance" (I have never used a word more loosely) with a lap dance. Taylor Swift's reaction to the Selena/Bieber reunion. Did you watch? Who is your favorite performer? I will openly admit that I'm not a Taylor Swift fan (I fully expect you to ban me from your blog from here on out!) But she does put on a great performance! And her reaction to them two kissing is amazing. Pretty much the same reaction the rest of the population would have, I imagine! TAYTAYs recation is hilarious! love it! Oh my gosh, Taylor's reaction!!! That is PERFECT! Hahahah. I saw that interaction on Chelsea Lately last night but I didn't actually see Taylor's reaction. Hilarious. bahahaha taylor swift. love her. that reaction is priceless!! bahaha I love t-swizzle's reaction to biebs and selena! It's great!!! hahahah I love the TSwift reaction. That is classic. I read your post this morning, in bed, next to a sleeping charlie and stone and I was trying my best to keep my giggling quiet. Your way with words, its awesome :) I have not watched an award show in forever which is terrible, I blame Austin. So I am happy I can stay up to date by coming here! I will have to google Taylors performance because I will forever be team Tay. But ALSO. I love Selena, like I want to be her. I am 13 at heart. And come and get it is my fav right now so I just have a lot of youtube to watch in my near future. Which now brings me to taylors reaction towards bieber and selena. So funny! but seriously, I want bieber and selena to get back together and stay together forever. ever. ever. Were you at the Dunwoody Target last night?! I was there with my husband getting some groceries, and I think I saw you, but got totally shy and didn't want to say anything at the risk of sounding like a blog stalker....hahaha! I loooved seeing that Taylor clip! Priceless. lol!! And I completely agree with you about Niki's performance...it made me so uncomfortable! Yuck. Ha! Love that clip of T.Swift. HAHA!! I love this. I love T. Swift and thought Biebs speech was horrible. It was so, so sad to see him react and accept an award that way. He thinks he's awesome, clearly. Taylor's reaction to the reunion: totally priceless. this was fabulous! i did not catch that taylor swift reaction to selena and beieber - so awesome. haha! 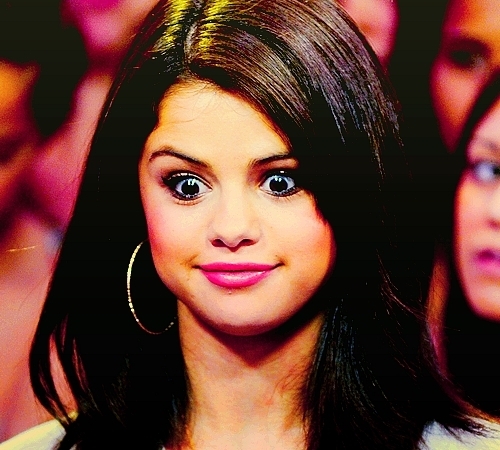 but girl, i think selena might be our new miley in reverse 'cause selena drives me nuts! but yes, totally loved T-Swifts performance...you def need to think about being her for halloween. for reals.